As I shared with this amazing group of servants, I will share with you here. Mindfulness is a state that allows us to be fully present with our experience in the moment; not dissociating, not pushed to fear from the past or pulled to fear of the future; but fully present in mind/body/spirit in the here and now. 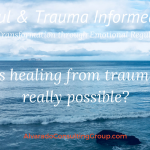 The experience of trauma often makes mindfulness a more challenging goal as the post trauma response of fight/flight/freeze pulls us back into a past experience and prepares us to defend; but a worthy one regardless. 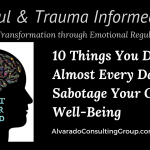 Consider how often our clients of trauma are stuck in a pattern from the past, or fear of the future and incapable of living fully in the present. Consider too, how often you might experience this same phenomenon. To undo our ancient and habitual patterns of the mind requires that we turn around some of our most basic assumptions; for ‘our’ children this may mean the assumption that the world is not safe, that adults will leave them, that parents don’t stay, that nobody can be trusted and therefor they need to defend 24/7. Stuck in the pattern from the past, even though they are now adopted into a very safe, loving family, we see this in their fight/flight/freeze behaviors that continue. For our providers this may mean the assumption that children should respect all adults, that children should obey because we tell them to, that children should trust that we will care for them and that children should not need to take care of the siblings they are placed with because we will now do that for them. 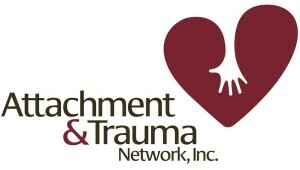 Providers stuck in this antiquated paradigm of treating and parenting traumatized children will quickly be spun up into fight/flight/freeze as ‘our’ wounded children cannot live up to these unrealistic (un-informed) expectations. 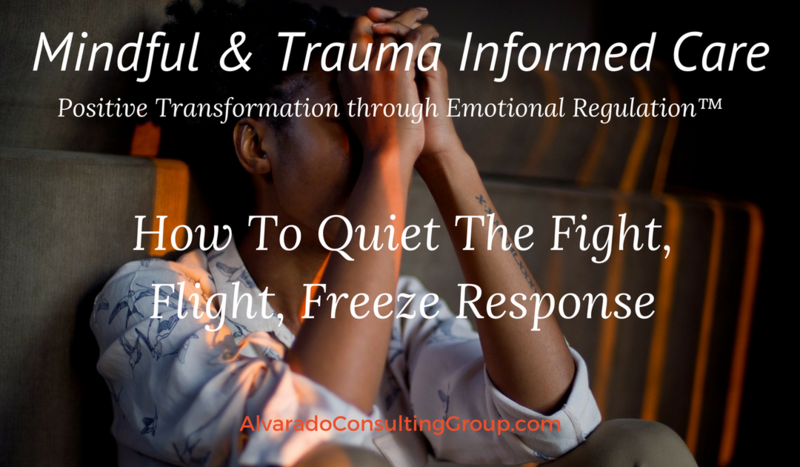 Moving from fight/flight/freeze to present moment mindfulness is a necessary component of any trauma informed care response. 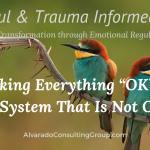 When we quiet the internal stress which manifest as our fight/flight/freeze response, our bodies return to homeostasis and the capacity for regulation returns. The body has two defense systems: one to detect and respond to perceived threats in the external environment, and the other to detect and respond to internal threats. The first is the fight/flight/freeze response. The second is the immune system. The fight/flight/freeze response works through the HPA (hypothalamic–pituitary–adrenal) axis. Yes, what I teach is all scientifically grounded. When there are no perceived external threats, the HPA axis is at rest and all the body’s resources are dedicated to the renewal of its systems and the growth of new cells. However, when the body perceives an external threat, such as an alarm going off, being abused or neglected, or being rejected/abandoned again, the HPA axis kicks in and signals the release of cortisol and adrenaline — which constrict blood vessels in the digestive tract and redirect blood flow away from the internal organs to the extremities, preparing us to fight/flight/freeze. These hormones also constrict blood vessels in the prefrontal cortex, where our logic and reasoning centers are located, and redirect blood to the ‘reptilian’ brain, where instinctive action originates. As a result, our thinking becomes confused and fragmented and we may respond like a cornered animal. This is an ancient survival mechanism that continues to serve us well, at times of real danger. The problem is that the reptilian brain does not differentiate between perceived danger and real danger. Day-to-day life in the 21st century keeps us awash in a torrent of stress hormones. Traffic jams, toxic emotional assaults at the office or at home, and violent TV shows keep us in a hypervigilant state, our amygdale at high alert. The most damaging of these hormones, at least from the brain’s perspective, is cortisol. In chronically stressed and depressed individuals both the hippocampus and the prefrontal cortex are physically shriveled and shrunken — they experience much more rapid breakdown of the brain than their non-stressed counterparts. The practice of quieting your HPA axis through mindfulness and meditation, results in a diminished rush to fight/flight/freeze even in a crisis. 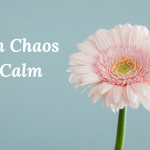 When the brain experiences consistent and repeated quiet, meditative states, the capacity to remain mindful, even in the midst of chaos, becomes easier and easier. 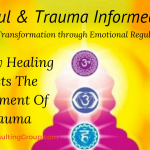 The following 3 trauma informed strategies will help you relax more, whether in a quiet room or in the midst of a crisis with a client. Consistent and repeated daily practice can reset the fight/flight/freeze baseline response that might have been triggered by stress or trauma in the past. Lie back comfortably and close your eyes, breathing in through your nose and exhaling through your mouth. Inhale for a slow count of four. Exhale for a slow count of four, drawing out the breath and making a slight whooshing sound. After a few minutes of this rhythmic breathing, place your left hand on the center of your chest, at the level of your heart. Try to find your heartbeat, and bring your attention to this master drummer that sets the rhythm for your entire body. Notice how your heart rate quiets as you make your breaths softer and longer. After a couple of minutes, bring your right hand to your second chakra, right below your belly button. Try to feel your heartbeat here as well, through your right hand, even though it is nowhere near your heart. Realize that this area known as your second brain, is linked to the adrenal glands, which produce adrenaline and keep the fight/flight/freeze system active. Imagine that your heartbeat is setting the tempo for your adrenals, helping them to slow down and relax. Tap the fingers of your right hand softly on your lower belly to bring your awareness to this area of your body. Practice for ten minutes every day. 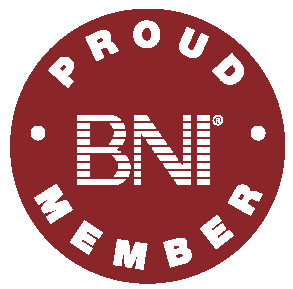 Slow down, slow your body movements, slow your rate of speech, slow your walk, slow your responses. Slow everything down. Lower your tone of voice, lower your volume of voice, lower your physical presence when in the presence of someone in crisis. Learning to live slow and low decreases your heart rate, decreases the amount of adrenalin needed to keep you going, creates safety for those around you and brings regulation to your body/mind/spirit. Mindfulness is the practice of observing your own experience in the present moment with an attitude of non-reactivity and/or non-judgement, both of which are essential when working with clients of trauma. Mindfulness is about being with “what is” in regard to your current experience. While working with clients of trauma who might easily trigger us into our own past experiences, remaining mindful is vital. 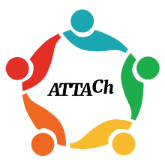 The response to developmental and complex trauma need not be complex. We can simplify it for you. Are you ready to make a change in yourself or your program? Schedule your free consult now. Love this Juli!! Thank you. Mindfulness is so very important! Absolutely love this info! Very informative, evidence based, and beneficial to clients and caregivers alike. Very, very helpful on many levels. Although I was searching for a 4th response aside from the 3 reactions to fear. Regulating the 3 F’s is almost a 4th response. It is a Mindful ressponse.